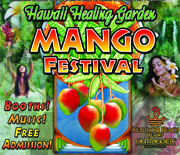 One Juicy Day of Mangos, Music, Medicinal Plants and More! Presented by HawaiiHealthGuide.com and The Sanctuary of Mana K’ea Gardens, the Mango Festival celebrates all things mango with a day filled with special events and activities including live music, hula and cultural performances, mango culinary arts, a mango tastings, and cooking demonstrations. Mango aficionados will be able to peel, cut or bite their way into varieties of the most widely produced and consumed fruit in the world. 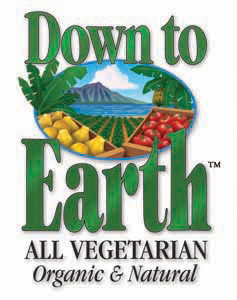 An outdoor expo will feature Green Healthy Living with natural products, medicinal plants, arts & crafts, massage, health & wellness practitioners, children’s activities, healthy foods, family fun and of course, Mangoes! 2:00 - Bee-Loved Mangos! Protecting Pollinators of Hawaii - Alison Yahna, Beekeeper, educator and owner of Artemis Smiles Honeybee Sanctuary and Honey Co speaks on behalf of The Honeybee Farmer/Education Project, and Honeybee Education in the Schools. Keiki Art Corner - hosted by Arts of Kona. Children pre-school through Middle School are invited to “be creative” and paint their heART ! Plus info & forms for keiki grades 3-12 to participate in the Young Artists’ Showcase to be held Oct 23rd. Healing Arts Fair with massage, plants, products, food booths and more!